Today I'm playing along with the Global Design Project #GDP057 colour challenge - Rich Razzelberry, Mint Macaron & Blushing Bride. How pretty!! I hope you like what I've come up with! I have started with a Thick Whisper White cardstock base, layered with Mint Macaron & Shimmery White Cardstocks. 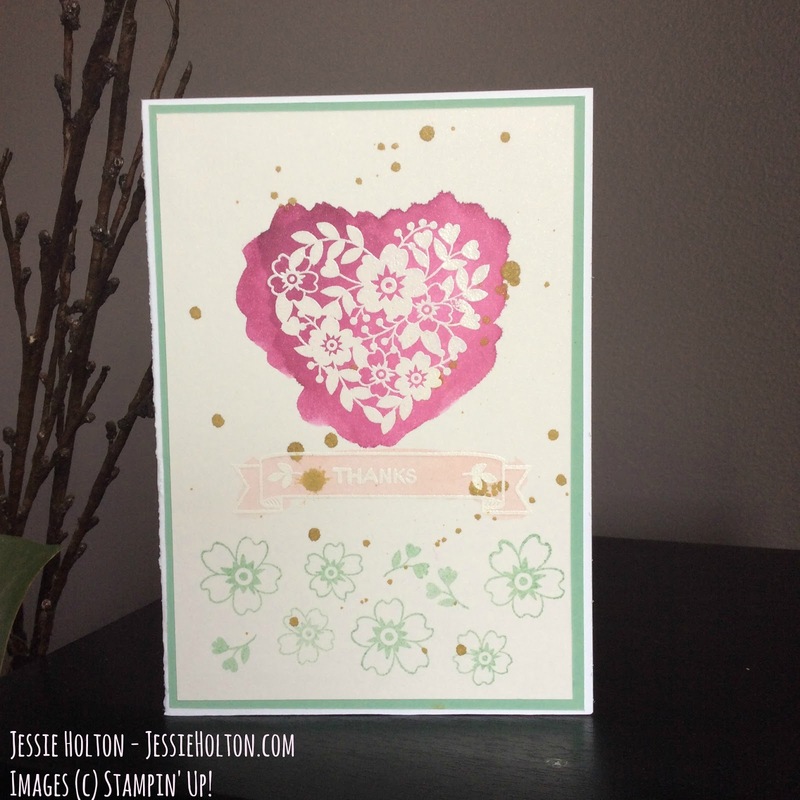 I have White Heat Embossed the heart & banner from the Bloomin Love stamp set & the Thanks sentiment from the Designer Tin of Cards stamp set onto the card & then I have washed over the top with my Aqua Painter in Rich Razzelberry & Blushing Bride. 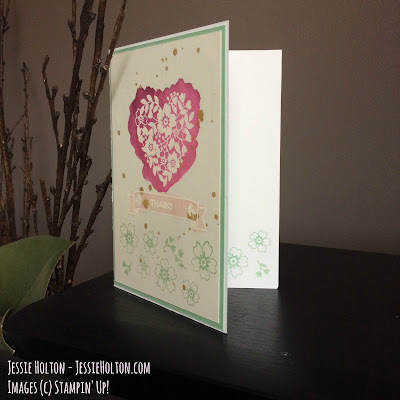 I have also stamped the flowers from the Bloomin Love stamp set in Mint Macaron across the bottom. Lastly, I have flicked Gold Wink of Stella across the card front. I have also stamped the inside corner with the three little flowers I have used on the front, to tie it in.